The book gives vivid insights into the personal stories of Palestinians and Israelis who are involved in Middle Eastern conflicts. 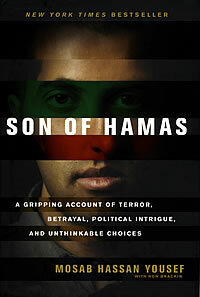 Mosab Yousef, a son of a leading Hamas figure, is transformed by the personal reading of Jesus Christ in the gospels. In the process he comes to understand that peace efforts are doomed to failure until hatred is replaced by loving one's enemies, as taught in the gospels. The book will inspire the reader to look to the example of Jesus Christ and the gospel for true peace, something not found in the example of Islam's prophet, Muhammad.